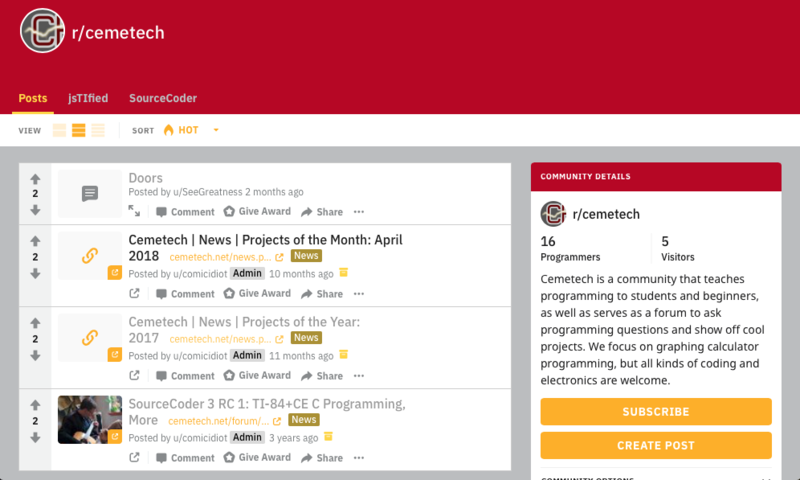 Welcome to Cemetech! Since 2000, Cemetech (pronounced KE'me'tek) has been teaching programming and electronics and developing software and hardware. 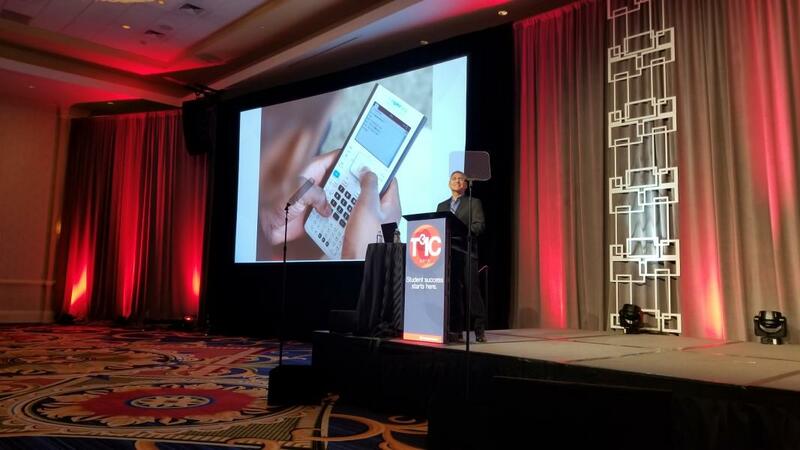 Among Cemetech's specialties are TI, HP, and Casio graphing calculators like the TI-84 Plus, TI-Nspire, HP Prime, and Casio Prizm, embedded and DIY electronics, and computer and web programming. Cemetech provides a safe, friendly space for people to learn, show off projects, and share knowledge and expertise. Our staff of friendly volunteers hang out on our forum and IRC and SAX chatrooms, and are happy to help. "Programming the TI-83 Plus/TI-84 Plus"
© Copyright 2000-2019 Cemetech & Christopher Mitchell :: Page Execution Time: 0.134868 seconds.